Your to-do list is beyond taming, and your commitments are unavoidable. How could you allow yourself to rest in busy times like these? What would rest even look like in your life? Author Cheryl Wunderlich knows these questions well. After years caught up in the whirlwind of family life, motherhood, work, and ministry, she couldn’t imagine allowing rest for herself—until cancer forced her to stop. In her crushing battle with exhaustion, she began to hear God’s still, small voice inviting her to hope, be restored, and to find deep soul-quenching rest in Him. God’s rest was her way back to life. 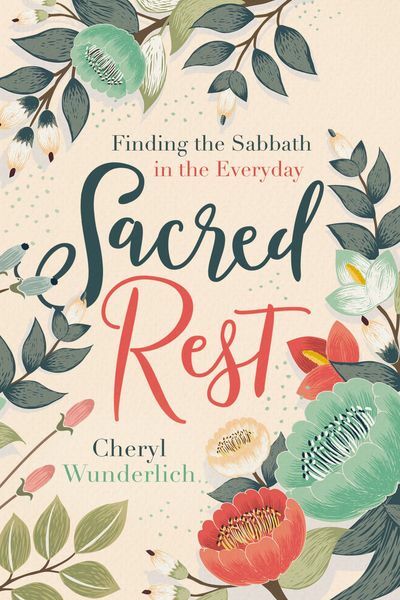 These 100 devotions offer prayers, Scripture verses, personal insights, and biblical perspectives on God’s loving gift and command to us: Rest. Be still. You can experience both rewarding work and rejuvenating rest. Accept God’s invitation, and taste the welcome relief of a life balanced in His rest.